Occasionally, a friend's Facebook post of a plate of spaghetti in a dim restaurant stirs a more complicated emotional response in you that can't be summed up in a simple "like." If only there were something stronger. 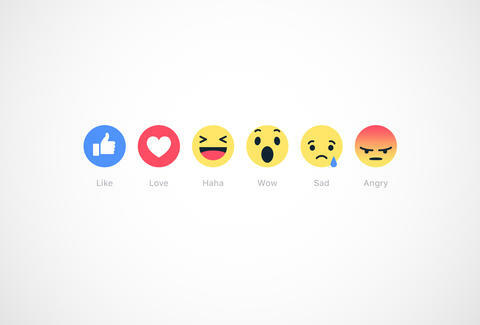 Well, Facebook's listened to your inner monologue, finally launching new "reaction" buttons to help express your complex emotional response. That is, if your complex emotional response was something like "Wow." 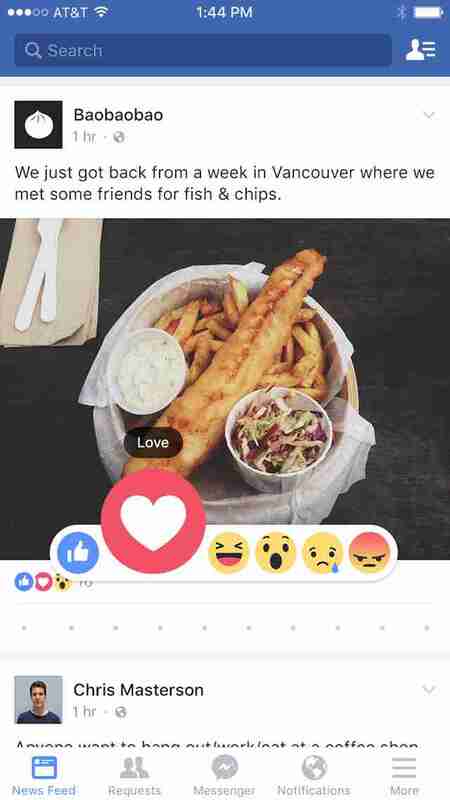 If you're on mobile, just tap on the "like" button to see the new options. If you're on desktop, hover over the "like" button with your mouse, and you'll see them. "For more than a year we have been conducting global research including focus groups and surveys to determine what types of reactions people would want to use most. 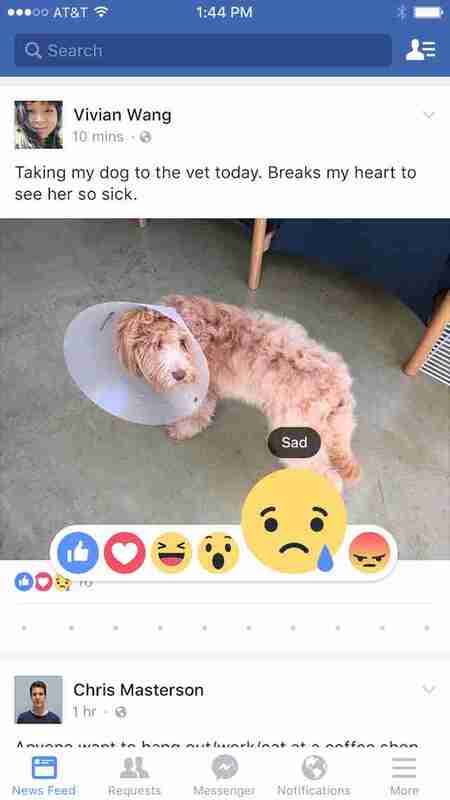 We also looked at how people are already commenting on posts and the top stickers and emoticons as signals for the types of reactions people are already using to determine which reactions to offer." Apparently a lot of thought and research went into the creation of these buttons. "Love" and "sad" seem like they'll get the most play, given that people write out "love" and "dislike" all the time in comments and now have an emoticon to match their typewritten responses. Basically, Facebook's given you one more reason to not use your words. Kara King is a News Writer at Thrillist and will be using the "angry" button. Send news tips to news@thrillist.com and follow her at @karatillie.